Canadian Mommy Blogger talks about Product and Book Reviews, Giveaways, Free Stuff and Amazing Deals and Coupons. Over the past two months, I’ve been volunteering at my son’s school. It’s been fun getting to know the each of the kids. It never fails that one of them will ask, “How old are you?” Most often I will respond with “How old do you think I am?” I have been pleasantly surprised that most of the answers have me younger than my actual age! With the help of the “Oréal Paris Revitalift Cicacream”, I hope to continue to resist the signs of ageing skin. 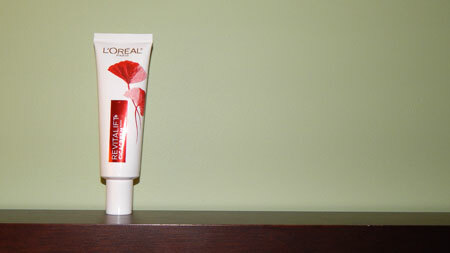 “Oréal Paris Revitalift Cicacream” is an anti-wrinkle skin and skin barrier cream. It works to strengthen and replenish your skin’s moisture barrier. The cream is infused with Centella Asiatica, an herb used in traditional Chinese medicine. Before using this cream, I was unfamiliar with Centella Asiatica. I have since learned that it is rich in amino acids, beta-carotene, fatty acids, and phytochemicals. This super blend of nutrients offers amazing benefits for the skin, including powerful anti-ageing properties. The cream leaves my skin feeling tight, but not uncomfortably so. It feels sticky until it is completely absorbed into my skin. I have noticed that my skin looks better since I have started using the cream. To receive the maximum benefits of this cream it is recommended that you use it daily – morning and night. It is fragrance-free and suitable for sensitive skin. For best results, You’ll want to follow with a moisturizer and use it in conjunction with other Revitalift products. There is a long list of ingredients, be sure to research them to ensure that you are comfortable using it on your skin. “Oréal Paris Revitalift Cicacream” helps your skin resist the signs of ageing. This is a product that needs time to do its work and over time you will see the benefits of using it. *Disclosure: I received a complimentary tube of “Oréal Paris Revitalift Cicacream” through the Amazon Vine Program in exchange for my review. All opinions are 100% my own.